The Honda CBR650R has been launched in India at Rs 7.70 lakh, ex-showroom pan-India. 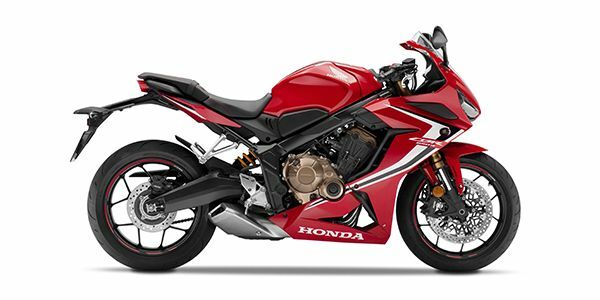 The new motorcycle is Rs 32,000 more expensive than the CBR650F. For the added premium, the new model features a slightly more powerful engine, traction control, superior underpinnings, assist and slipper clutch. It also gets a sportier design inspired by the CBR1000RR Fireblade, along with more aggressive ergonomics. Displacement wise, the Honda CBR650R locks horns with the Kawasaki Ninja 650, whereas in its price bracket, the bike competes with the Kawasaki Z900 and Suzuki GSX-S750. Honda CBR650R prices start at Rs. 7.70 lakh (Ex-Showroom). Honda CBR650R is available in 1 variants and 2 colours. Share your experiences with CBR650R? What are the alternatives to the mid-capacity CBR? Honda CBR650R vs Honda CBR650F: What’s Changed? Just a design exercise or there’s more to the CBR650R than the 'R' suffix?